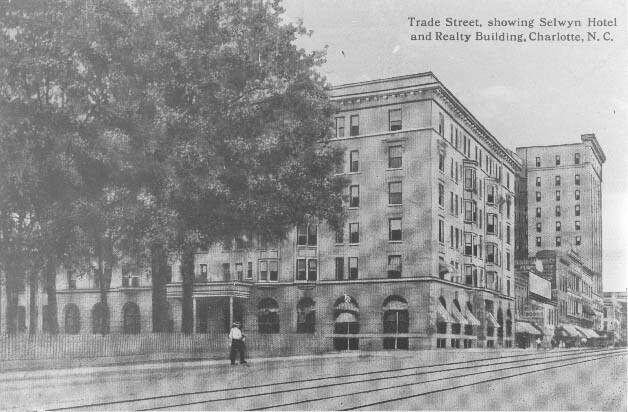 The Selwyn Hotel was located on West Trade Street. The Realty Building or Independence Building can be seen in the background. Trolley tracks are clearly visible. Physical Description: 8x10 from a postcard not the best copy for duplication.